Winter school holidays is the perfect opportunity to stay indoors and snuggle up with movies and blankets but, let’s be honest, the little darlings will start to drive you crazy after being cooped up inside for more than one minute! Time to pre plan some school holiday activities! 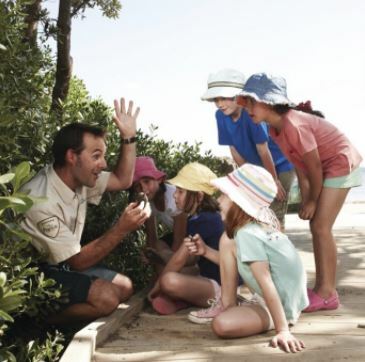 Get ready to get the kids out the house with our What’s on – Frankston and Mornington Peninsula Winter school holiday guide! 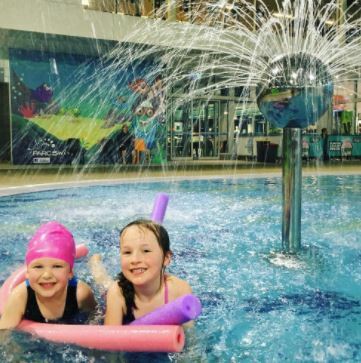 It’s always “Summer” fun at PARC! These school holidays they will be having three spacious beach boxes available to hire FREE for one hour! Beach Box guests will have the opportunity to be served by poolside waiters and given a free mocktail upon arrival! How fun is that! There will also be beach-themed café specials such as calamari and chips, fish tacos and Hawaiian pizzas as well as a holiday photobooth, inflatable obstacle fun on Splash Town! Bookings essential for beach boxes. Join the ranger under the stars at Baxter Park, Frankston South for an overview of “our place in space”. Suitable for all ages, BYO folding chair or picnic rug, warm clothing, beanie, blanket and torch. Date: Tuesday, July 4th from 6pm to 7.30pm. McClelland Gallery is holding various creative workshops over the school holidays including Air-dry clay creations, drop-in family sculpture making and update and re-create. We love absolutely love the gallery! Great ideas here for your budding crafty youngster! Skatingat’s pop-up ice skating rink will be set up at Sorrento Foreshore for the duration of the school holidays. Open Sunday to Thursday, 10am to 7pm and Friday and Saturday from 10am to 9pm with sessions on the hour every hour. 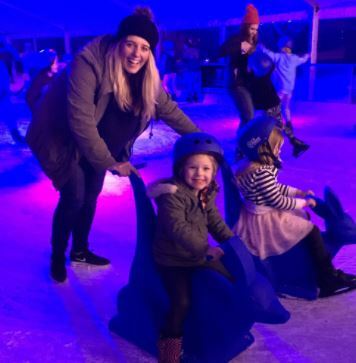 Fun activity for all ages starting from three-years-old with ride on skating kangaroos to help little ones who may have trouble balancing on traditional ice skates. Acro Kids will be holding winter holiday workshops at The Village Uniting Church Mt Eliza. Winter Holiday Workshops in Mt Eliza. The workshops are designed for children of all levels of ability and fitness where they will learn gymnastics fundamentals, tumbling, cartwheels, handstands, walkovers, flips, aerials and much more. at the There will be two hour workshops for four and five year olds and three hour workshops as well as full day workshops for six to 13-year-olds. Places are limited – bookings essential. Cube 37 is holding its popular Hot Arts for Cool Kids program, which is a creative and fun art and craft program for kids aged four to 12 and their families. Created by artists and art therapists, the program and activities encourage family engagement through the arts. Date: Monday to Friday (except Wednesdays) from July 3rd to 7th, 10am to 12.30pm. Parks Victoria’s free Junior ranges program is for children aged six to 12, allowing them to enjoy tours through the Peninsula’s stunning parks and reserves such as Point Nepean National Park, Cape Schanck Lighthouse Reserve, Collins First European Settlement Site, Coolart Wetlands and Historic Homestead and Mushroom Reef Marine Sanctuary from July 3rd to 16th. Dates: July 3rd to 16th. Pure Peninsula Honey will be having free family farm talks on Tuesdays, Thursdays and Saturdays through out the holidays from 10am to 11am. Children can learn all about bees and the honey making process – really cool and facinating for those kids that ask but why? but how? about everything! Dates: Tuesdays, Thursdays, Saturdays within the holidays. Master Magician Duck Cameron will bring his fun-filled magical show full of surprise & comedy to St Andrews Beach Recreation Hall these school holidays. A fun indoor activity for the kids! 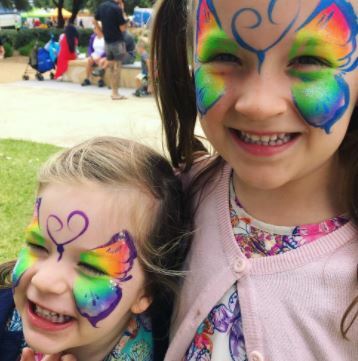 Family Day at the Frankston Power Centre promises to have something for everyone and the best thing is, it’s all free! Face painting, petting zoo, children’s entertainment, crazy hair salon and arts and crafts! Decorate your own Teenage Mutant Ninja Turtles jigsaw or mask to take home at Karingal Hub during the first week of the holidays. There will also be meet and greet sessions with Donatello and Michelangelo. During the second week of the holidays, you’ll be able to make a Minion hand puppet and have a meet and greet with Jerry from Despicable Me 3. All activities are free! Here’s a great one for primary school kids! Imagine yourself as the main character in an apocalyptic action movie, fighting cruel forces for a better future! Design your own superhero costume, fictional scenario and movie blurb to depict yourself as a survivor of the apocalypse! Now that sounds like fun! Dates: Tuesday, July 4th, 10am–12pm, ages 5 – 8 and Wednesday, July 5th, 10am–12pm, ages 9 – 12.